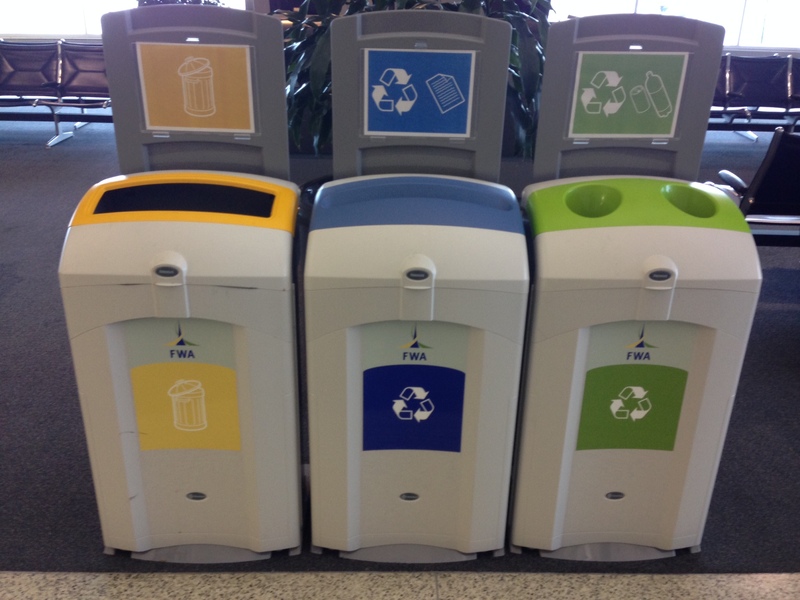 Recent travels made me aware of how airports are really into accommodating Trash, Recycle, and Compost and all the inherent iterations and separation requirements. Snapped this example at the Fort Wayne International Airport (Indiana). I thought the use of different shaped openings, color, and iconography was really interesting, particularly the use of yellow for garbage. At least, I’m assuming it’s for garbage even though the icon reminds me of the design-y countertop food waste containers.